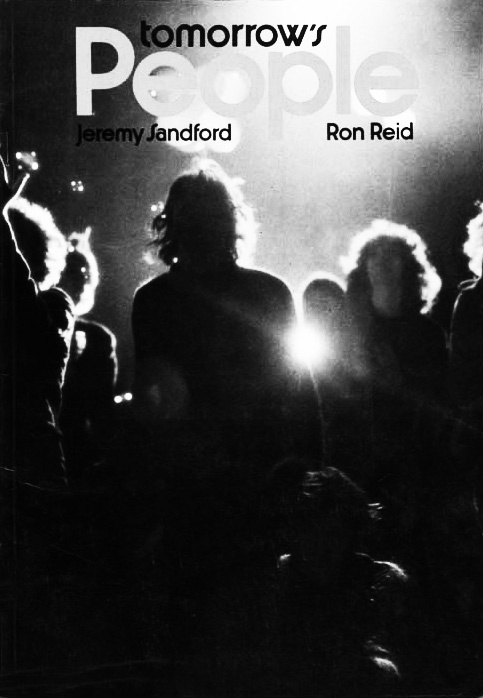 Jeremy Sandford and Ron Reid’s 1974 book Tomorrow’s People, a photographic and text case study of late 1960s/early 1970s British outdoor music festivals / free festivals, is one such rarity. It’s mentioned across the ether but there is relatively little reproduction of the actual images in the book and those that are don’t always necessarily capture the spirit of the books photographs; that of a joyful, playful, social documentary portrait and snapshot. 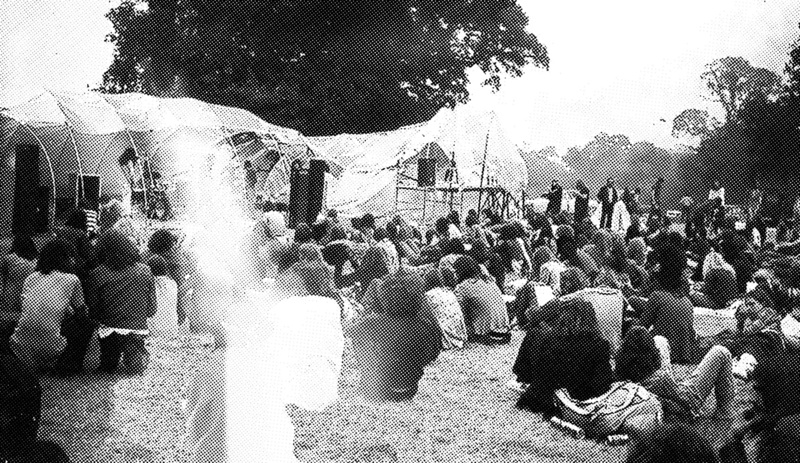 I’m not sure where or how I came across Tomorrow’s People, although it wasn’t a surprise when I recently revisited Rob Young’s Electric Eden book that I found it was mentioned in his history, overview and consideration of the utopian intentions, explorations and eventual controlling and enclosure of Britain’s festivals in the Paradise Enclosed chapter of that book. Now, I’m not all “Ah, it was once all green fields, 50p entrance fees and social freedom” about such things but there is a certain fresh faced, pleasant simplicity, a sense of a yet to be decided future and possibly even naivety to the “scene” and gatherings Tomorrow’s People views, peruses and records; this was a time before such things became mainstream, not-at-all pocket money priced weekend excursions, sponsored by media giants and intoxicants-white-people-like-to-and-are-allowed-to-take corporate organisations. 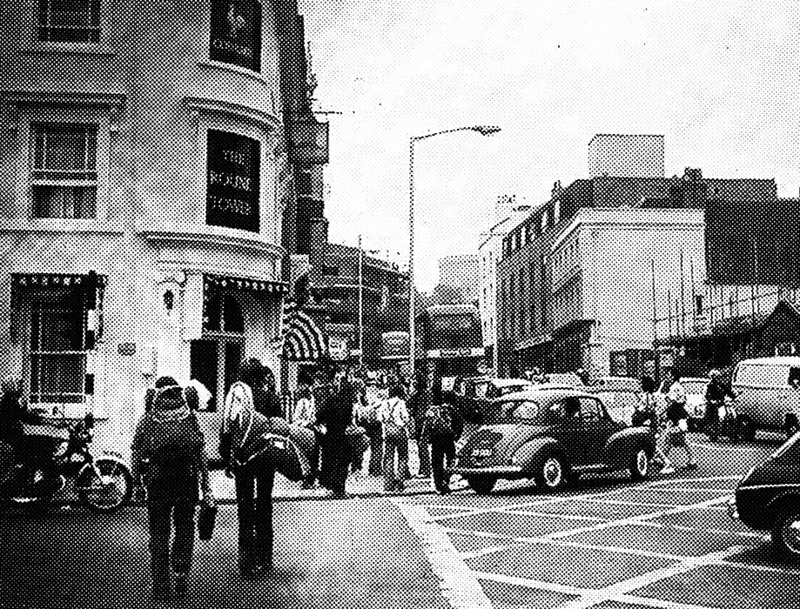 …in a general wandering around the ether in search of images from Tomorrow’s People before I gave in and set in motion the process whereby the good envoyers of the postal service would pop the actual binding through my door, I came across this set of photographs of the 1973 Windsor Free Festival (ah, that year once again) by I think Roger Hutchinson, which I find somewhat fantastic and which seemed to burrow into my mind. Around these parts I recently undertook a consideration of the past as a foreign country and the above particular set of light catching are thoroughly in such territory; although very much within the realms of living memory I see little in them that I can connect with the modern world, its ways, aesthetics or spirit. 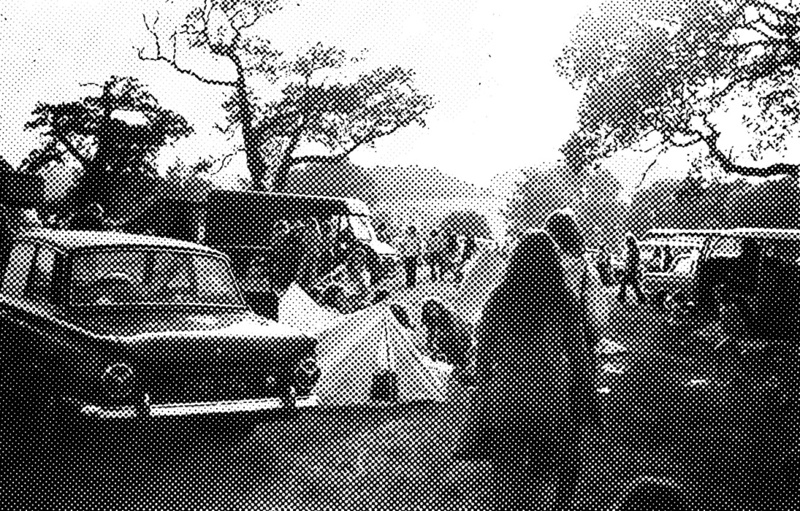 In particular it seems to be the photographs that feature cars, vans and/or the festival goers outside the bounds of or journeying to their temporary edens that I’m drawn to. There is something fundamentally “other” to such automotive devices compared to today, a certain underdesigned-ness compared to their contemporary flash-and-dash progeny. A smattering of images from Tomorrow’s People can be found here, latterly up the junction here and further perusings here. Mr Sandford can be found in the ether here and (re-signposting) Mr Hutchinson’s light-catchery here. Further intertwined wanderings: Day #190/365: Electric Eden Ether Reprise (#2): Acts Of Enclosure, the utopian impulse and why folk music and culture?